With summer right around the corner, anticipation is building for a number of summer blockbuster releases. Perhaps the biggest title coming out this summer is “Jurassic World: Fallen Kingdom,” the next installment in the popular series. The movies do such a great job of depicting the prehistoric beasts that roamed so long ago and have us wondering—what sort of dinosaurs might have lived in Alaska? It turns out, the discovery of dinosaurs in Alaska was a complete accident. In 1961, a geologist discovered fossils on Alaska’s North Slope. They weren’t identified as dinosaur bones until 1984 when a U.S.G.S. geologist reexamined them. Since that first dinosaur discovery, at least a dozen different types of dinosaur fossils been discovered in Alaska’s most northern region and paleontologists have learned a great deal about polar dinosaurs. In 2015, researchers uncovered a new species of plant-eating dinosaurs in Alaska, a variety of hadrosaurs, which grew up to 40 feet long. 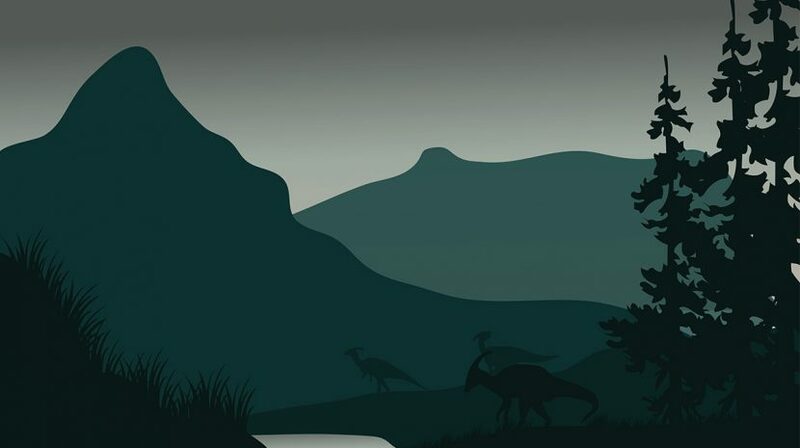 According to the University of Alaska Museum of the North, the duck-billed dinosaurs roamed in herds. Researchers believe the dinosaur species didn’t migrate and instead lived in darkness for months and probably experienced snow. For a quarter of a century, the fossils were lumped in with another hadrosaur, an Edmontosaurus, although closer study of the fossils revealed differences between the skull and mouth features, convincing scientists that the 2015 discovery was a new species. If you’re looking for a good recap of dinosaur discoveries in Alaska, look no further than a 2017 article published in the Anchorage Daily News, which covers everything from the types of fossils discovered to the current efforts of paleontologists hoping to understand more about Alaska’s earliest residents. Pterosaurs—flying reptiles—along with theropods are believed to have lived in the state. The first-ever elasmosaur—a prehistoric sea creature that was the inspiration behind the mythical Loch Ness monster—was excavated from the Talkeetna Mountains. The “jurassic” amount of work to understand more about Alaska’s prehistoric species is constant and just as thrilling as the Jurassic adventure story headed for the silver screen this summer.